Reprinted from The Akron Beacon Journal by Kaitlyn McGarvey on April 15, 2019. 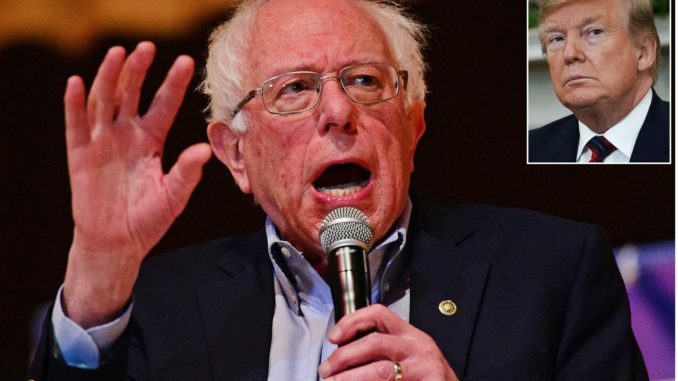 The crowd erupted in applause and chants of “Bernie” as Senator Bernie Sanders entered the Lordstown High School auditorium Sunday to discuss campaign promises and to criticize the closing of the General Motors plant last month. Reprinted from The Wrap by Tony Maglio and Reid Nakamura on April 16, 2019. Reprinted from The San Francisco Chronicle by Matt Taibbi on April 16, 2019. “… It wasn’t until Sanders started piling up delegates that he began to take on the villainous characteristics for which he is now infamous,” writes Matt Taibbi in The San Francisco Chronicle. “After he won primaries in 2016, suddenly reporters ripped him as a divisive narcissist with three houses who was the ideological mirror of Donald Trump, boasting racist, sexist and violent followers. “This was all part of the age-old technique of focusing on the person instead of the ideas or the movement behind them. Sanders wasn’t winning in 2016 because Bernie Sanders is some great stump act — he isn’t. A fair portion of his support was coming from people who were fed up with both parties even before he decided to run.